Carbondale has a vibrant arts scene rivaling that found in a big city. Many arts organizations call Carbondale home, and brighten the community by hosting art events year-round. The Carbondale Clay Center teaches ceramic art to anyone with an interest; this includes the beginner who has never worked with clay to the established artist. The center offers ceramic workshops, lectures, exhibits, and special events throughout the year. 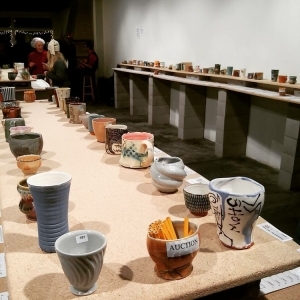 One of the Carbondale Clay Center’s popular annual events is the December Cup Auction held just in time for gift-giving during the holiday season. 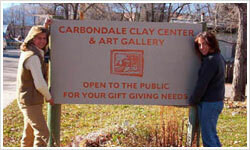 Amore Realty proudly supports the Carbondale Clay Center. In 2015, we supported the center through a charitable donation and gifting them with a new sign. The Carbondale Council on Arts and Humanities (CCAH) hosts two popular annual events―Carbondale Mountain Fair and Green is the New Black Fashion Extravaganza. Carbondale Mountain Fair is a time to celebrate community and the summer season. 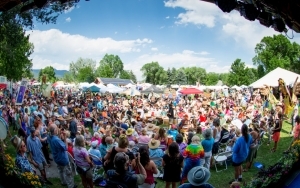 Each summer, Mountain Fair attendees view the unique, handmade wares of hundreds of vendors; participate in the pie baking and wood splitting competitions; enjoy live music and entertainment; and chow down on delicious food from local restaurants. Green is the New Black Fashion Extravaganza is a treat for the senses; expect a catwalk featuring models dressed in imaginative, sustainable fashion from local designers, performance art interludes, and multimedia art displays. 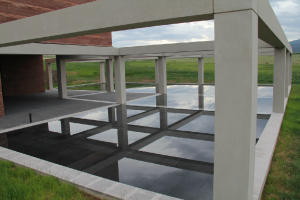 Located on the outskirts of Carbondale is the Powers Art Center, a museum dedicated to exhibiting the collection of John G. Powers and Kimiko Powers. The couple collected contemporary art, and especially enjoyed the work of Jasper Johns. The Powers Art Center exhibits their collection of Johns’ limited edition works on paper. Live in Carbondale. See Art in Carbondale. Want to move to Carbondale, so that you can participate in its flourishing arts scene? Check out our post that offers relocating tips for a move to the Roaring Fork Valley. And if you have any questions about Carbondale, CO real estate and moving to the Roaring Fork Valley, you can talk to Lynn and the team at Amore Realty. Call 970-379-4766, or fill out our contact form.